« Pantone 2014 Color of the Year is Here! Animal Prints, It’s a Jungle Out There! Look around next time you’re out walking around a city or suburban mall. You will definitely see a healthy amount of animal print roaming around. Animal print used to be a trend for only the most fashion forward among us. It has successfully crossed over from fashion ‘trend’ to fashion ‘classic’. Animal prints have become mainstream and can be seen in many different sartorial iterations. Here are some ways you can wear a little or a lot of animal print. If you just want to dip your toe in the pool and not dive in completely, take a baby step with a scarf, pin or umbrella. The three pieces in this photo were all easy to find and easy on the wallet. 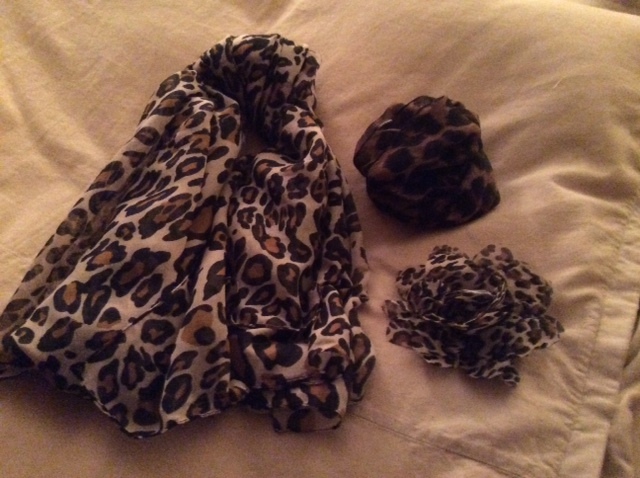 The lighter colored scarf and pin are both from H & M, VERY affordable. 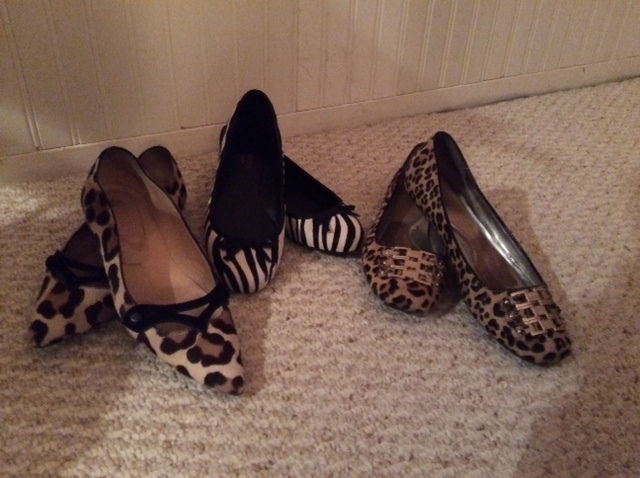 The next step you can take is a pair of animal print shoes. These are all styles that I have worn consistently over the last 5 years. I love the Zebra ones for easy black and white pairings with a splash of color (I do red with these a lot). The Tod’s pair on the left are my absolute favorites and I wear them ALL the time. Because they have black and browns, they go with so much! If you are feeling brave, you can go further with an animal print shirt, pant, or in this picture, a handbag. 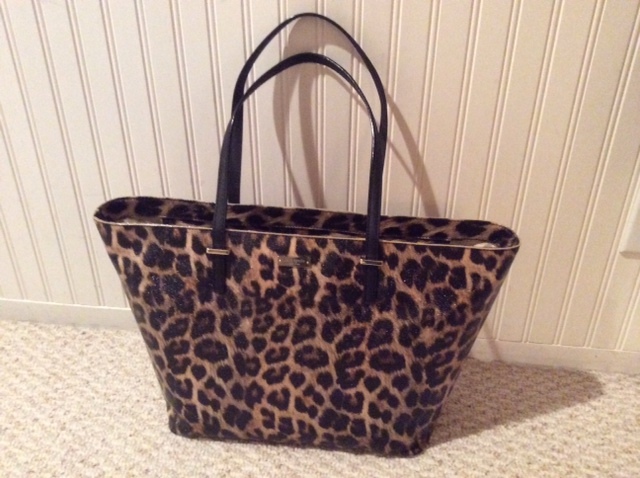 I just got this Kate Spade bag and I am using it like crazy. In an unusual twist, a client found this while shopping in Santana Row in San Jose with a friend. I saw it and decided (with her agreement) I had to have it. Again, it can be worn with black or browns, can be wiped off and travels really well. 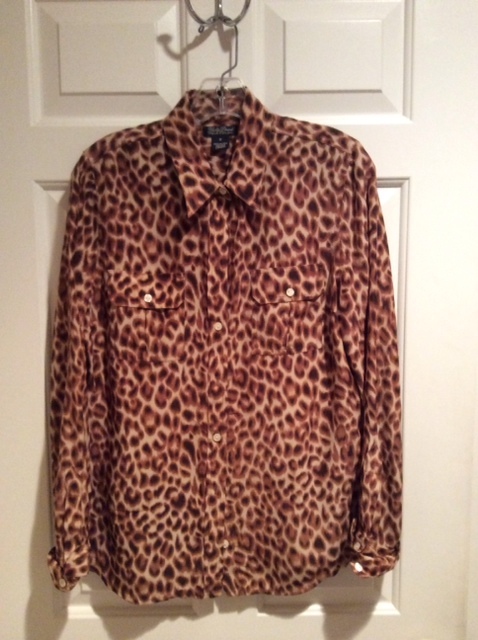 This blouse is also a great way to work animal print into your wardrobe. I often caution clients not to go overboard with any particular look, animal prints included. Too much of a good thing is TOO much! One or two small pieces, like shoes and a scarf or pin are lovely, but head to toe is a NO-NO. 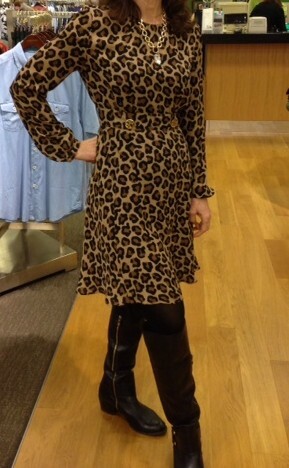 I LOVE the way Janice was able to wear this beautiful Tory Burch animal print dress with so much style and verve! She is a wonderful example of embracing the look and making it her own, way to go Janice! She kept things simple, like her jewelry and wore black tights and over- the- knee boots… perfect. How do you wear animal prints? I’d love to hear your answers and even better, see your pictures. This entry was posted on Friday, February 28th, 2014 at 11:21 am	and is filed under Accessories, handbags, Packing, Seasonal Trends, Shopping, Travel, Trends, Uncategorized, Womens dressing. You can follow any responses to this entry through the RSS 2.0 feed. You can leave a response, or trackback from your own site.